Based on these interactions, Daniel was firmly convinced that, with a very few exceptions, university professors, while being sometimes brilliant scientists, did not know the first thing about drug discovery or development. In this short, thinly fictionalized autobiographical account of a life spent in antibiotic drug discovery, David Shlaes provides a master course in the business of drug discovery. 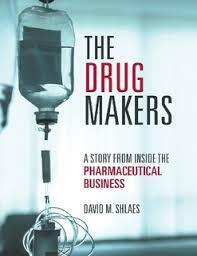 With 30 years of experience under his belt and lengthy exposure to the academic, big pharma, and biotech worlds that are center-stage in his book, Shlaes is well positioned to hammer home the points he is rightly famous for: that we need reform he regulatory path to approve antibiotics, and that we need to change the pricing of antibiotic drugs if we want to continue to generate effective antibiotics in the future. By telling the story of a single consultant with exposure to all of the major players, this book provides a cautiously pessimistic overview of the current and future state of affairs in antibiotic drug discovery. Although this book covers a wide range of topics and will be of interest to many people whose work or interest touches upon drug discovery, it should be required reading for academics who flirt-with or commit-to the translational task of turning promising lead compounds into drugs. Shlaes is pessimistic that the current state of academic training is up to the task of educating the next generation of researchers in the many aspects of drug development where the majority of drugs will fail. In this regard, I found his recounting of the problems of the drugs he oversaw at the “Penfrel” pharmaceuticals company of particular interest. He describes the various pitfalls of these compounds, most of which relate to the efficacy and toxicity of these compounds in animal models. Although this is all known to academics in theory, by bringing the reader into the board room where “Daniel” must justify to his board the outlay of increasingly large amounts of cash for each expanded round of clinical trials, no one can miss that the decisions must always be backed up not only by strong science, but also by the promise of a successful return on investment. He echoes this theme multiple times later in the book when counseling his clients to shut down programs without strong markets that can justify the research costs. In the compounds overseen at Penfrel we are exposed to the manner in which toxicity might be addressed through alteration of the dosage schedule, by managing the delivery system: diluting the drug to reduce local toxicity upon IV injection or altering the packing formula to obtain consistent effective dose in powdered pills. We are exposed to Daniel/David’s thinking about whether to pursue or cancel a program based on the tox profile. Sometimes its worth fighting to generate alternative compounds, sometimes its time to can the project. Certainly canning a project or a division happens with greater speed and less predictability in industry than in academia and David/Daniel’s insights into this process - both the political and scientific - provides the sort of insight that would literally take years to acquire and could (did) provide the foundation of a successful consulting practice. How can an academic benefit from this book? Beyond the tales of intrigue, I believe the book does a good job of describing just where all of the fantastic sums of money required for drug development are spent. Practically the entire book concerns itself with post-discovery enhancement of particular molecules on the journey to the clinic. The discovery of these compounds does not take center-stage, although this is place where most academics work. On the discovery side, finding lead compounds and investigating how they act against target bugs seems like a large and daunting task by itself. And as exceptional as finding a new lead compound is, there is still a tremendous effort to be made, over a long stretch of time, in order to justify the long, expensive process of demonstrating efficacy and safety in real clinical settings. This is the academic/industry divide in a nutshell. We can also benefit from a close reading of the three major solutions Daniel/David advocate for in order to rejuvenate the discovery pipeline: 1. alternative clinical trial designs that favor small, targeted studies and can be done quickly, 2. a possible grant swap to allow patent extensions for blockbuster drugs following approval of anti-infective agents and 3. a modified pricing structure that will provide a profit incentive to companies for inventing new antibiotics. Of course all of these are designed to encourage the rebirth of industrial discovery - he also would like to see the NIH fund basic science and provide funding for academic/industrial partnerships. By describing how the basic economic calculus works in the boardrooms of pharma companies, David/Daniel are able to drive home the point that he wants to us all to learn and learn-well: in the absence of regulatory and pricing changes, we will not be able to turn around the decimation of the industrial outfits that have generated most of our antibiotic compounds.